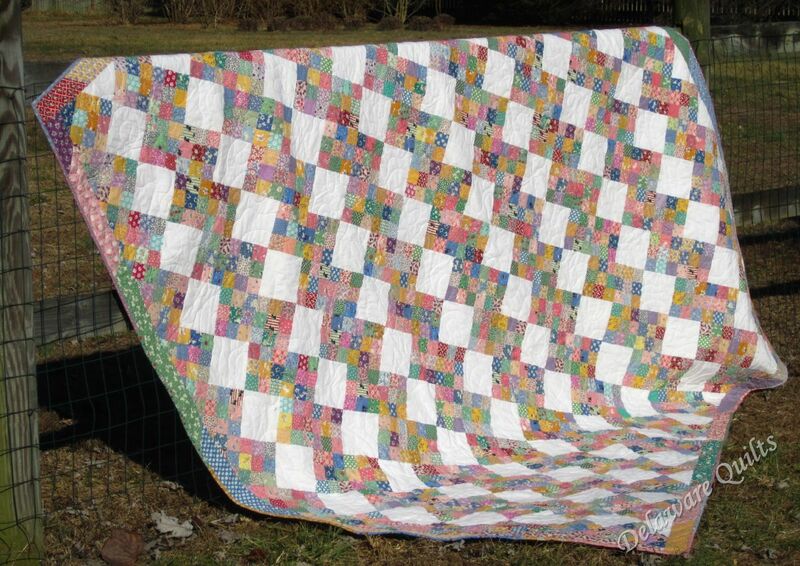 Some quilts have links to larger photos, use your browsers back button to return here. One important part of quilting is finishing, totally quilted and binding on. 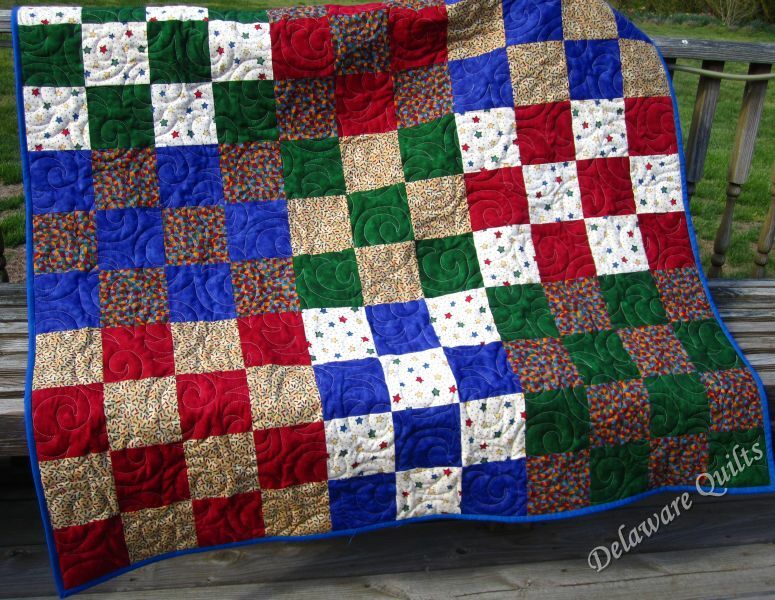 Until them a quilt is a UFO UnFinished Object. The first few quilts were UFOs until I finished them in 2014. #479 I started this Aunt Graces Zig Zag at the fall retreat in 2012 and finally finished it early in 2014. 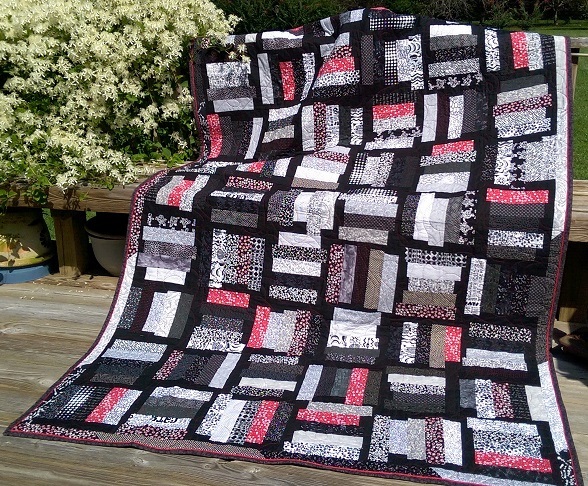 These two quilts were samples for Mystery #36 which I called Patch Plus. #505 was a scrappy sample and #506 was not scrappy. This pattern is also known as Arkansas Crossroads. #507 I had a lot of scraps from other quilts that were all from the same fabirc line, so I made Leftover Alphabet Soup with them. #508 is also made from some of those leftovers but is a future mystery so I can't show it yet. #509 is also a future mystery although not using the same fabric line. My friend Carol gave me a whole bunch of black and white strips to add to my own collection of black and white strips. 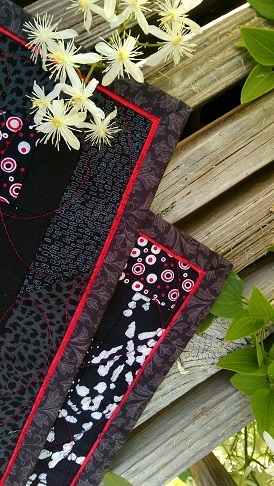 I added some red and made these two quilts. I didn't like #513 until it was quilted and the binding was applied, now I love it. (Thanks J!) And #514 was gifted to our favorite guy at AVI, HB Ben. I had a whole pile of nine patch blocks from a swap so I made these two dancing nine-patch quilts using them up. Both were donated to Bob's Blankie Brigade along with the backing and binding fabrics.